Join us for the 10th in our series of "Beyond Tarot" Intensive Classes as we study in depth two cards of the Major Arcana: The Tower and The Star cards. These classes will feature 4 Beyond Worlds cohosts, and we will journey through the deck together in a fun, interactive class-like format with a modern twist. 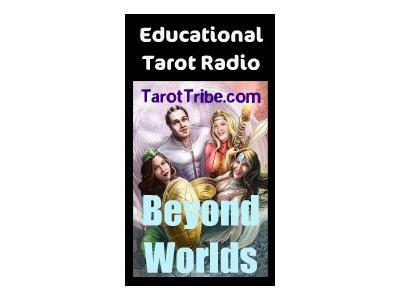 Cohosted by Georgianna Boehnke, Mike Hernandez, Valerie Sylvester, and Donnaleigh, we also have a cameo later in the show when Pamela Steele joins us to talk about these two cards in her Steele Wizard Tarot. What do they tell us?